Due to its geographical expansiveness and cultural richness, no amount of time is enough to fully explore and experience Indonesia. However, there are so many things tourists can do there in just two weeks. Featuring only the best of the best, here’s our two-week travel itinerary for Indonesia. A number of international airlines have direct flights to Bali, making the island paradise an ideal and convenient start for your Indonesian adventure. AA Indonesia’s foremost tourist destination, welcoming millions of international tourists annually, Bali has countless things to offer, from surfing, water sports, cultural explorations, temple tours, and more. There is no public transportation that goes around the island, so the best option is to rent a bike or car. Renting a bike costs less than $10 per day. 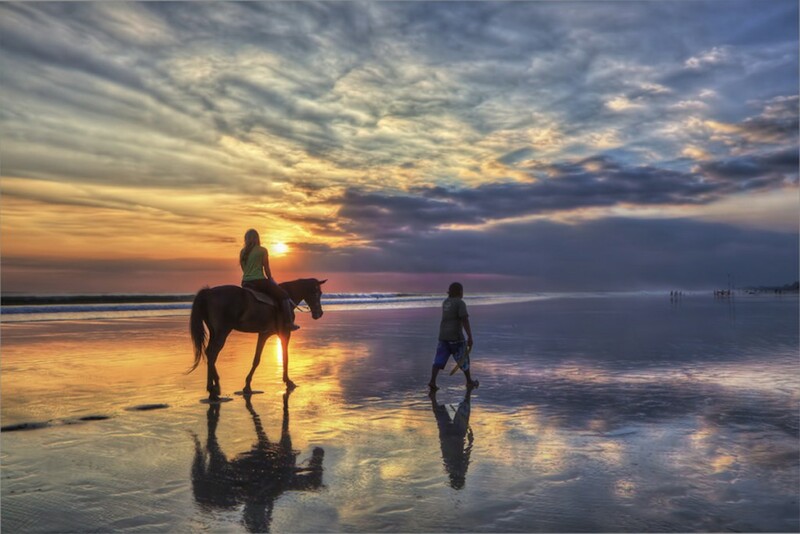 From Ngurah Rai International Airport, the world-famous Kuta Beach is just 15 minutes’ drive. There are many ways to enjoy a day in Kuta. Sign up for a surfing lesson, go horse riding, swim, eat, and shop. Kuta is also a great place to stay. There are many affordable hostels, hotels, or even private villas. For those who fancy lavish accommodation, head over to the neighboring Seminyak. For party animals, Kuta and Seminyak stay alive until late at night, with plenty of lively bars and nightclubs. Rise before dawn and head to Sanur for the glorious sunrise. Tourists can stroll along several beaches in the area or try fun activities, such as walking on the seabed with Bali Seawalker, or visiting shark or turtle conservation projects in the area. 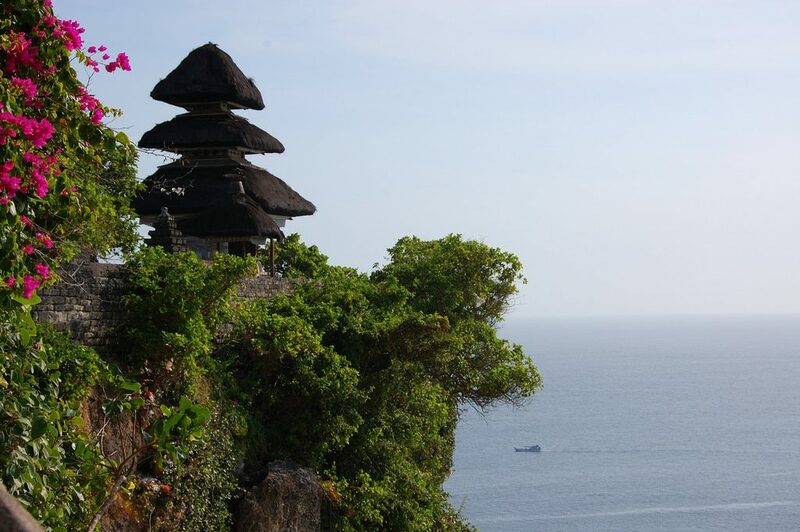 After lunch, head to the Bukit Peninsula for some more exquisite beaches, before chasing the glorious sunset to the magnificent temple Pura Uluwatu. On your way back to the city center, stop by the Jimbaran Bay for a remarkable seafood dinner. Spend a day in Ubud, the cultural and artistic hub in Bali. It takes less than two hours to drive from Kuta to Ubud. There are endless cultural destinations to visit in the town, including from Ubud Royal Palace, Blanco Renaissance Museum, Ubud Art Market, and Agung Rai Museum of Art. 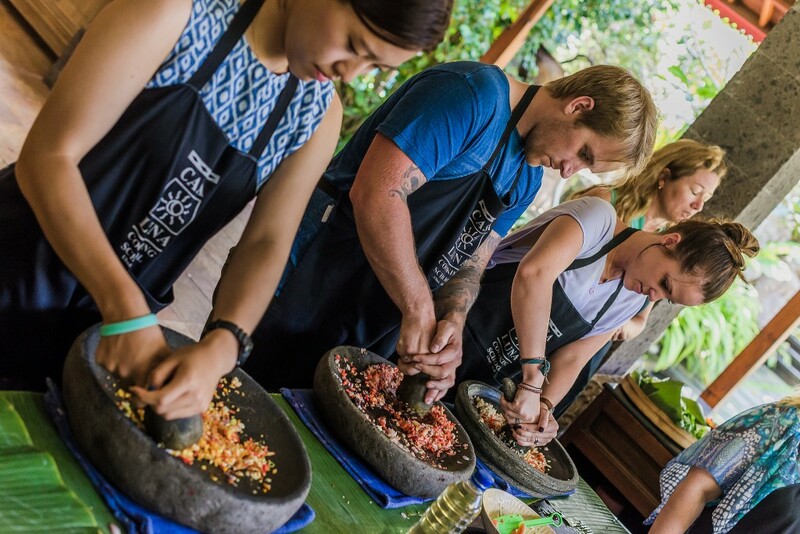 Sign up for a one-day craft workshop or traditional cooking/dancing/music classes in Ubud. Located just east of Bali, Lombok is sometimes called Bali’s more laid-back sister, with matching natural and cultural beauty but fewer crowds. From Ubud, head to Padang Bai to catch a ferry to Lombok. The trip costs less than $10, and takes around four hours. On your first day in Lombok, tour some of the island’s best destinations, including the Selong Belanak beach and other pristine beaches. 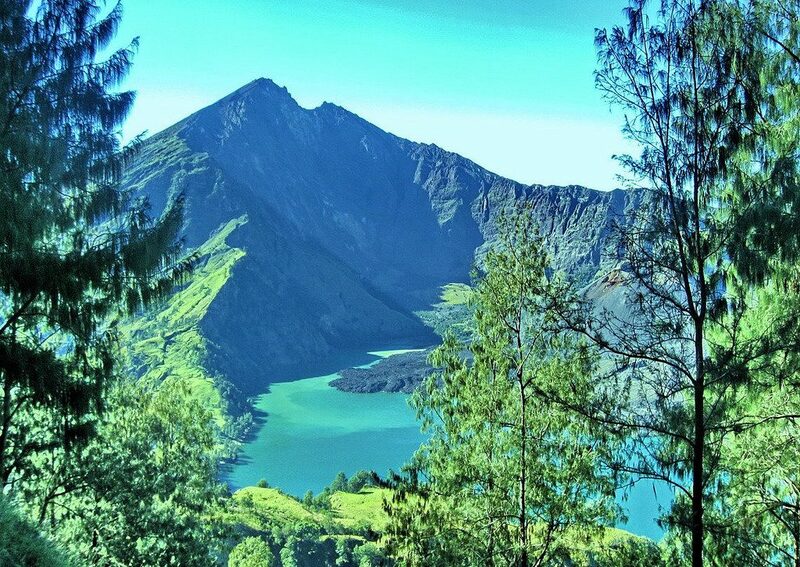 Rise early the next day and head over to Rinjani National Park to hike around Indonesia’s second highest volcano. On the way, encounter lush jungles, majestic waterfalls, rich wildlife, and more. After that, relax and get ready for more island-hopping. The Gili Islands comprise three impressive exotic islands: Gili Trawangan, Gili Air, and Gili Meno. They are conveniently close to Lombok and to each other, and public boats there cost less than $5 per trip. 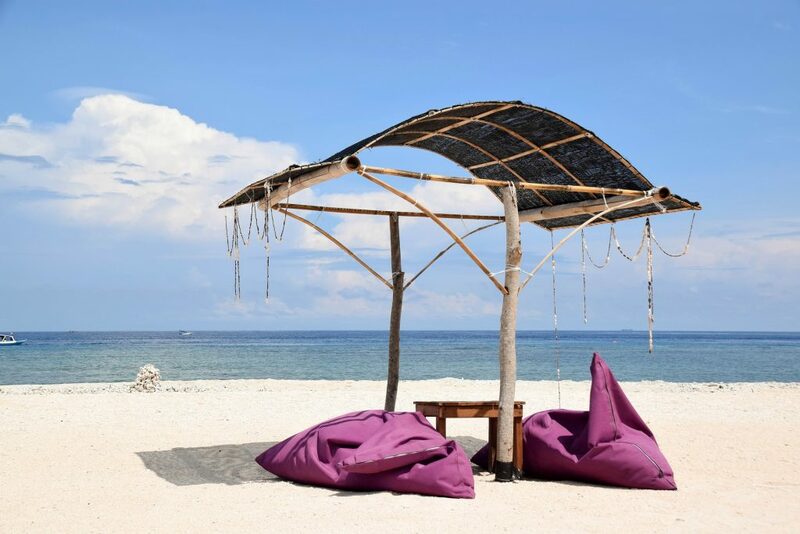 Enjoy water sports or lazing on the beaches of Gili Trawangan, before going out to experience the island’s crazy, vibrant nightlife. On the second day, head to Gili Air for some snorkeling or diving, and then continue to Gili Meno for another diving session. There, you’re guaranteed encounters with exquisite exotic species, such as manta rays, sharks, and other fish. After that, you can easily head back to Lombok. The trip from the Gili Islands to Lombok takes less than an hour, so you needn’t leave the Gili Islands early. Comprising three islands, Komodo National Park is one of Indonesia’s biggest treasures. It is the only habitat of the ancient komodo dragons. Tourists can reach this national park from Lombok or Bali by renting a boat or signing up for a tour. Discovery Komodo Adventure and Perama Tour do pickups in Labuan Bajo, Lombok before heading to Komodo National Park. Spend the day hiking the beautiful islands. You’re almost guaranteed an encounter with the rare dragons. Some tours offer sleeping on the deck of the boat, before continuing the exploration, hiking, snorkeling, and observing the rich wildlife the next day. A boat ride back to Bali takes a little more than an hour. Yogyakarta (also known as Jogja) is known for its rich cultural heritage, manifested in royal buildings, temples, and performances. 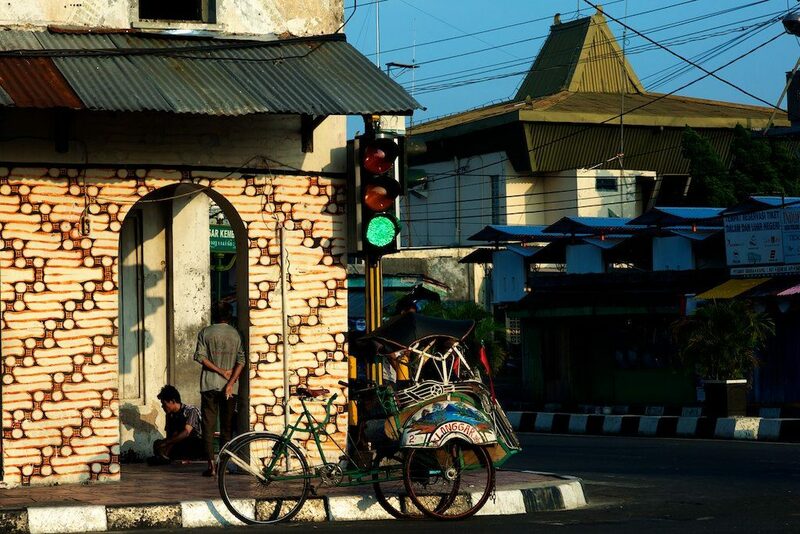 Yogyakarta can be reached using an overnight bus from Bali. There are overnight buses departing from Ubung Terminal in Denpasar every evening, arriving at the destination before noon the next day. On the first day, visit the attractions located near the city center, reachable by a traditional becak (modified bicycle with a passenger cart at the front). The first stop should be the Keraton Ngayogyakarta Hadiningrat, an exquisite 18th century palace complex. Take another becak to Taman Sari Water Castle, a soothing former royal garden. Then head back to Jalan Malioboro, an area known as the center of traditional arts and crafts, available at affordable prices. Getting around those places by becak should cost not more than $5 per trip. From Jogja, take a day trip to Prambanan Temple, a massive 9th century Hindu temple compound. The easiest way to reach the temples is by renting a car or signing up for a tour, but the bus line TransJogja also goes to the temple. It takes less than an hour from the city. The temple complex is huge, with more than 240 temples, so take your time. If you still have the time and energy, take another TransJogja bus to the Candi Ratu Boko, the exquisite ruins of an ancient palace just 20 minutes from Prambanan Temple. Stay until sunset for a magical experience. Borobudur Temple, the largest Buddhist sanctuary in the world, is not technically located in Yogyakarta, but in Magelang, Central Java. However, Yogyakarta still serves the main base for reaching the massive temple. Take a minibus available from the city center to the temple, costing anywhere from $6 to $20, depending on the bus and service. The journey itself takes more than an hour. For those who are truly interested in the history and philosophy of this exquisite landmark, it’s advisable to hire a local tour guide. 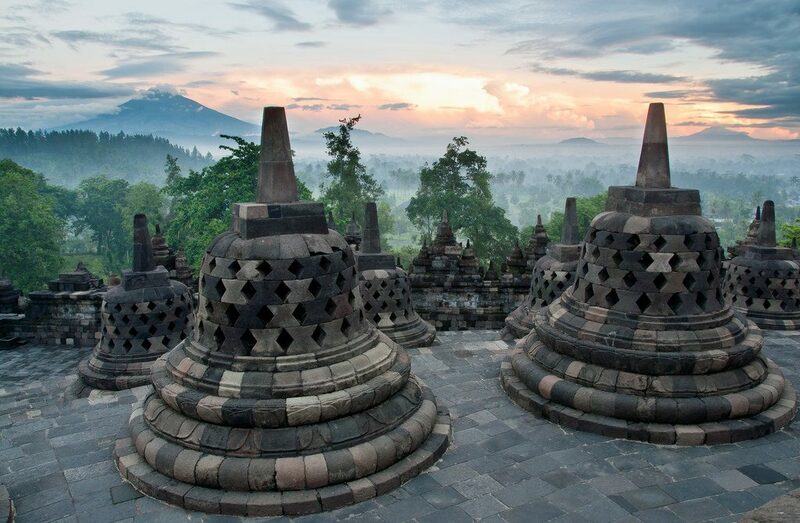 Take your time to enjoy the culture, history, and wonderful views before heading back to Yogyakarta. From Yogyakarta, head to the capital Jakarta. A flight from Yogyakarta to Jakarta takes less than 2 hours, or there’s the cheaper but slower option of taking the train, which takes 12 hours or more. Spend the first day touring the city. Jakarta has an integrated bus line called TransJakarta, which makes travel in the city convenient and easy. Indonesia’s capital is not only the center of lifestyle attractions — the best restaurants, boutique hotels, night clubs, shopping centers and more — it’s also home to some of Indonesia’s most important historical buildings and museums, including the National Museum of Indonesia and the National Monument. These two attractions are located next to each other, so half a day is enough to explore both. Spend the rest of the day dining at the city’s best restaurants or shopping in its mega malls, such as the Grand Indonesia Shopping Town or Plaza Indonesia. Both are a 5-minute ride from the National Monument using the local busway. On the last day, your options depend on the time of your flight. If you have the time, there are many destinations around Jakarta that can be explored on a day trip, including the charming Bogor, or Thousand Islands. If you only have a few hours, go to Taman Mini Indonesia Indah, a park that showcases Indonesian culture from different ethnic groups throughout the country.